Te Awamutu museum staff believe an upcoming exhibition celebrating World War II’s famous ‘Dambusters’ will be one of its most popular ever. 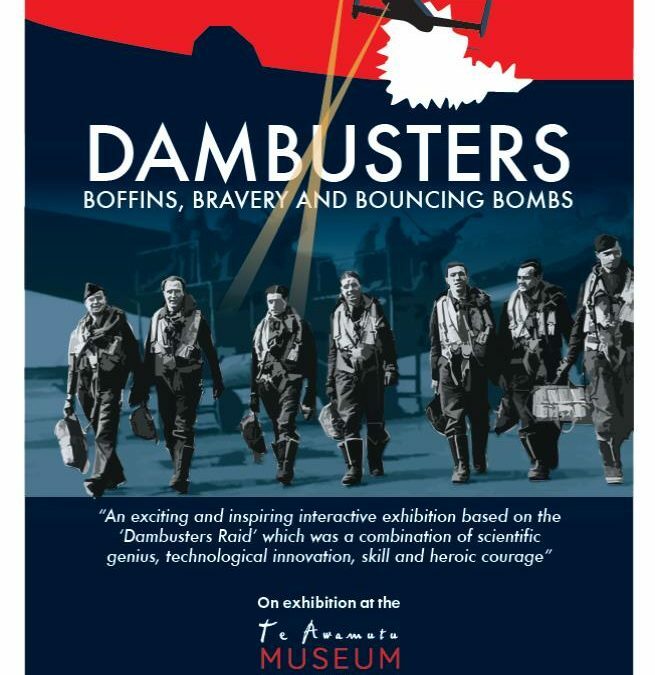 The museum will be hosting ‘Dambusters: Boffins, Bravery and Bouncing Bombs’ from the Air Force Museum of New Zealand from next week running through until July this year. The exhibition explores the extraordinary story of the Dambusters raids on the Ruhr Valley dams in 1943. It details the planning that went into the raids, the science behind the ‘bouncing bombs’ and the aftermath for the men involved as well as the Ruhr Valley community. It also covers the stories of the two New Zealanders who served with this elite unit, including former Waitomo mayor and dambuster pilot Les Munro. Munro was the subject of the TVNZ documentary, ‘Reluctant Hero’. Museum and heritage director Anne Blyth said the dambusters story is well known with a book and a movie released following World War II. But there was sustained interest in the story and she was expecting the exhibition to be very popular. “Visitors will get to see the science behind the famous ‘bouncing bombs’, how they modified the plans and will be amazed by the stories of the incredibly brave pilots,” Blyth said. In conjunction with Dambusters the museum is doing a special tribute to pilot Les Munro running from the opening until April. Special screenings of the classic 1955 film ‘The Dam Busters’ starring Richard Todd and Michael Redgrave will also be held during the exhibition period. Dambusters will open with a launch event on January 26 from 2pm to 6pm with local singers, games, activities and a chance to fly an Avro Lancaster via iPad technology. The exhibition closes on July 3. Throughout the exhibition period there will be special screenings of the classic 1955 film, Dambusters. Keep an eye on our Facebook page for dates and times of the screenings.